relayr is a rapidly-growing company, delivering the most complete IoT solutions on the market for the digital transformation of industries. We unleash more data from your existing machines and systems – from data inception to data insights – to improve your business outcomes. Our protocol-agnostic IoT middleware platform, device management and data analytics capabilities, and agile professional services teams are trusted by hundreds of companies worldwide. With relayr, any industry is empowered to implement fully interoperable IoT solutions guaranteed to achieve their target business outcomes. Smarter connectivity. Better business outcomes. Guaranteed. 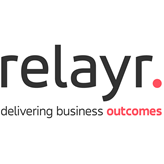 Want to get notified about new jobs at relayr GmbH?